Doomsday Giveaway for October 2013! 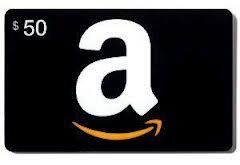 For October 2013, we want to give someone a $50 Amazon Gift Card. Pick out your own survival gear to help you get ready for the ever nearing end of the world. Check your Bug-Out Bag and see what is missing. Look through your food storage and see what you lack. Maybe you need a book or two that will help you to get more knowledgable or better organized. It’s all good stuff. Get what you like with this month’s giveaway! This month, we want to hear what you like and don’t like about The Doomsday Moose. Please take the time to comment, and/or get involved in discussions below. We want to be among the best at what we do. All you need to do to enter is use the Rafflecopter tool below to enter. You can tweet about this giveaway or another link on this blog, follow us on Twitter, “like” us on Facebook, share us at your favorite social network, follow this blog, or any of the other easy entry options. On November 1st we will select the winner. Please be sure to comment below on what you think about The Doomsday Moose. I like all your survival posts. I love all the tips! Love your reviews. Commendable Job!!! I'm new to Doomsday moose, love everything so far! love it all.. no changes! I like quite a bit I have followed you forever I tend to like the survivalist articles the best. This is honestly my first visit here, but I'm entranced. Seriously. I have the "Survival Food" tab open in another window and am amazed at the options you've located. I'll be hopping around your site for a bit. I 'm glad I stumbled upon this blog as a great resource to get my family with young children prepared. Thanks for all your great advice, keep it up! I like the info on survival and emergency preparation. I like the creative articles and giveaways! I follow on google + Claudia N.
umm I think its definatly different- kinda scary though! I like your reviews of course! I find your posts on wild food foraging very useful- recently, I made mock lemonade from crab apples; quite delicious and twice as much vitamin C compared to apple cider. I really like all the survival tips and the humor! Great survival tips…99% useful to me! I don't see anything wrong with this site. Some good survival tips. Thanks. I like the zombie scenario stuff. Good survival tips regardless of whatever massive threat is looming, and the zombie twist just makes for a fun read. I like a little injected humor. I will be doing more soon. I have always kind of considered the concept of a zombie apocalypse to be a metaphor for the worst case scenario or an unknown doomsday scenario. Being prepared for a zombie apocalypse doesn't mean you are getting ready for literal zombie. It just means you are ready for acting. Just my thoughts. That and I think zombies are cool. I like the reviews you do. It helps to know someone has actually tried a product before you buy. What about dragon attack? vampire invasion? Unicorn stampede or attack of the bodysnatchers? They're all equally plausible. Doomsday Giveaway for February 2014! Doomsday Giveaway for June 2013!